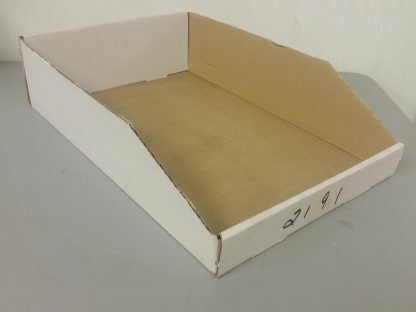 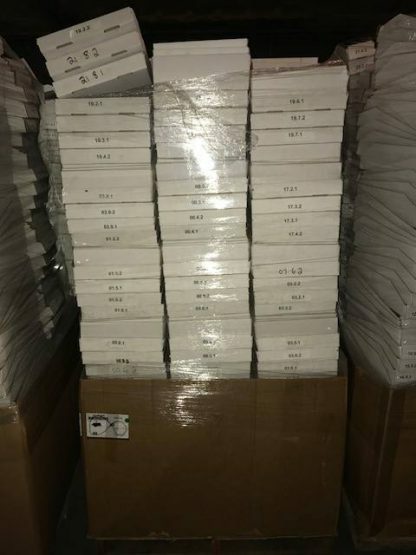 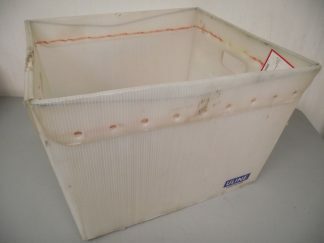 These white cardboard bins are in very good (like new) condition. They measure 12″ wide x 4.5″ Tall x 18″ Long. 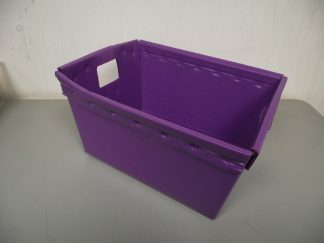 We are selling these as “Full Skids”. 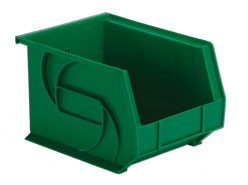 Please see the attached picture so you can estimate skid quantities as skids will very.